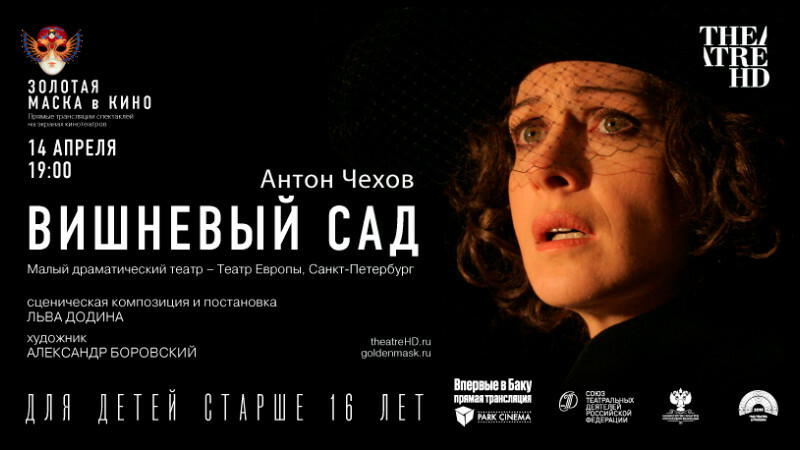 The Cherry Orchard in Park Cinema Metro Park buy tickets online. Delivery of tickets for the event The Cherry Orchard. “There could be life, but there would be nothing,” says one of the heroines of The Cherry Orchard. Lev Dodin, like no one else, knows how to hear and show this hopelessness of Chekhov's history and, at the same time, he gives life, sets free. According to the critics, Dodin`s performance is one of the best productions of The Cherry Orchard in history. Dodin's “The Cherry Orchard” is a play for centuries, it would be in the history and stand next to Peter Bruck's “The Cherry Orchard”, which was played in the same theater in Brooklyn a decade ago. - Carol Rocamora, Theater Pizzazz, USA, Brooklyn. And you will only kindle your hands, when seeing you can treat Chekhov - easily and courageously, as with a living, clever, ironic author, and not an idol from a pantheon. And how these flashes of utter happiness illuminate imminent disaster. This admiration for the director's fearlessness does not only recede, but in the course of the action everything gets intensified. Lev Dodin, following the wishes of the playwright, combined to a certain extent moments of tenderness and rudeness, tragedy and comedy in a way as if life itself could to have done so. His performance is so lively and direct, its not stereotyped mise-en-scenes, its passionate troupe, this delicate balance of comedy and tragedy — all this gives the illusion of “life as it is,” in the words of Chekhov himself. "The best work of the art director"
"The best work of an art director of the world"